There was probably the time when somebody broke a promise. There might be another time when a competitor beat you out for a quoted job. These situations and many others make you angry. It’s the way human beings are wired. We get emotional. We feel emotion and we let emotion take control of our lives to some degree. While some of us have more peaks and valleys than others, emotion will always play a role in who we are and what we do. Concerning anger, there is good news. Did you know that anger can actually help your blog writing? Here is some insight into how. Have you ever found yourself struggling to write a blog post? It’s happened to me many times. I have a few tricks for coming up with blogging ideas when this occurs. Today, I realized there is another trick I use to spark blogging creativity and I wasn’t even aware of it. When my mind isn’t quite working and I’m struggling for ideas there are times when something will make me a bit angry. It could be something as simple as losing a game of pick up basketball or someone telling me that a blog post isn’t very good. These things do not make me overly angry. I just feel a slight bit of anger internally. I try to channel the emotion and use it for good. Something I’ve always done when I’m angry is to get in front of the computer and let the words flow. Perhaps, in some contexts, feeling angry was actually beneficial. This counterintuitive idea was pursued by researchers Matthijs Baas, Carsten De Dreu, and Bernard Nijstad in a series of studies recently published in The Journal of Experimental Social Psychology. They found that angry people were more likely to be creative – though this advantage didn’t last for long, as the taxing nature of anger eventually leveled out creativity. This study joins several recent lines of research exploring the relative upside to anger – the ways in which anger is not only less harmful than typically assumed, but may even be helpful (though perhaps in small doses). Please read the entire article. There are more insights into anger that are interesting and useful. 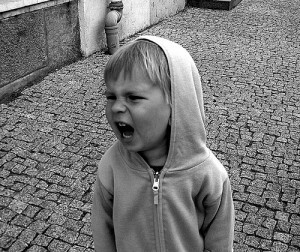 In the short-term, anger can be a beneficial tool to improve your creativity. If you are able to control the anger you feel from various situations you can channel that energy into writing and create some of your best work. Now, I wouldn’t recommend trying to get yourself angry all the time. This is not healthy. Stress can be a result of too much anger too often and can lead to negative health side effects. But using anger to spark a little creativity from time to time can be beneficial to your blogging and your business. Let’s put this in the context of your business. Has there ever been a time when a competitor beat you at something? Perhaps they undercut you on a quote for a big job. Maybe a prospective client simply chose the competition over you. Anger was likely one of the emotions you felt at this time. Many of the most successful people in business, sport and other areas of life will channel this anger as motivation to improve. It’s the theory that being rejected or turned down will drive some people to “show them” that they have made the wrong choice by overlooking you. There is a factor of feeling underestimated in cases like this. You can use this same technique to channel anger into creative blog posts. Then get in front of the computer and let the magic happen.